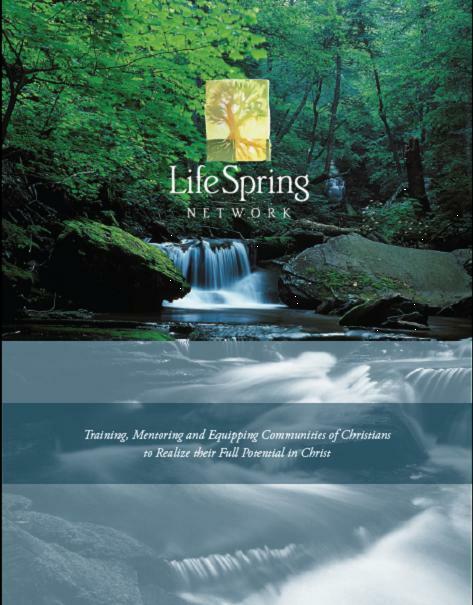 Life Spring Network brings experience and insights to your church or Christian organization. Developing a Masterplan – We have helped Churches and Businesses develop comprehensive Masterplans which have guided them toward advancing their cause and stewarding their organizations wisely under God from broad brainstorming to daily implementation and everything in between. Create an Engaging Environment – We can help you think through and apply the five key elements necessary to transform even the most lethargic and disconnected community, organization or office into an impassioned, innovative, and thriving workplace. Seasonal Staff Infusion – A decision to transform an organization is serious and its initial stages may need a more intensive infusion of consulting time. We recommend an intentional part-time staff infusion for a season to help guide your congregation and its leaders into functioning more like a reproductive disciple-making community. Our staff can provide wisdom in helping to design your community’s Masterplan, powerful sermons, live training of the Delta and/or Omega Courses and supplemental seminars and mentoring/life coaching to your key leaders to get them started along the journey. Customized Resources – Make transformation integral to your church’s identity. Life Spring Network can place your church’s logotype or any other form of branding on all your Omega Experience resources, allowing the congregation to take ownership of this vibrant experience in a special way. We would be pleased to work closely with your leaders to customize the language used throughout Body Life Basics, Delta and Omega Course materials so that your community can engage them with enthusiasm and without hindrance. We speak, teach and consult at business and government organizations through our sister organization E Pluribus Partners.